I hadn't gone out to Manchester in a while so when I finally went yesterday I went a bit crazy in Paperchase. The Paperchase in Manchester is amazing - it has 3 floors, it's pretty much heaven. They also have a new loyalty card scheme which the girl at the till signed me up for. I picked up some cute tiger earphones and a pink metallic glasses case to store some sunglasses in. 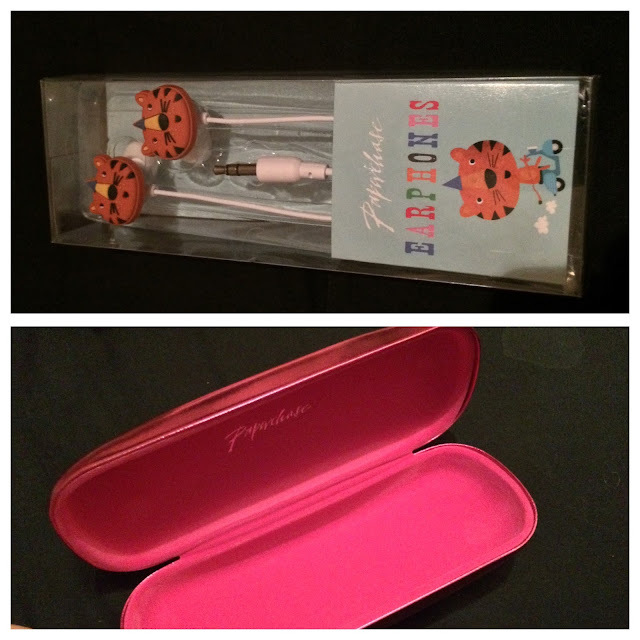 I haven't tried out the earphones yet so I can't comment on the sound quality but the quality of the glasses case seems good so far, although the metallic finish looks like it could get easily scratched. 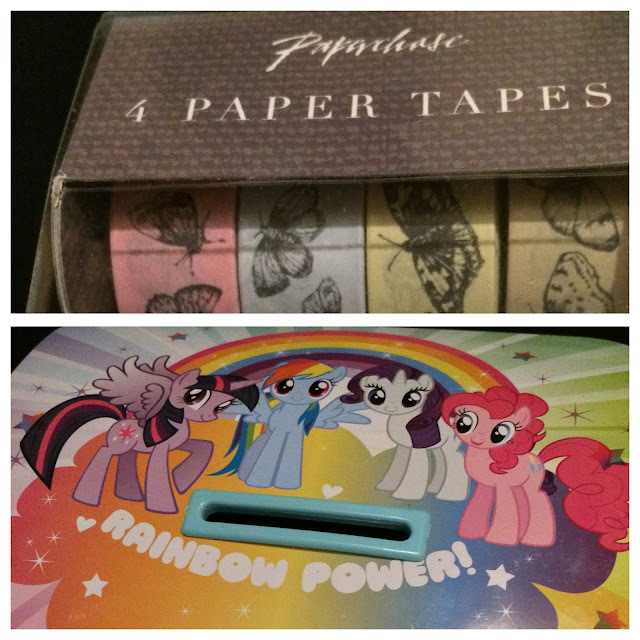 I also picked up a pack of 4 butterfly washi tapes to use in my planner as well as a G4 My Little Pony keepsake tin. I will most likely use the tin to store jewellery or little nick nacks. It comes with a little padlock and key which I probably won't use but I can't resist buying pony stuff so this went in my basket instantly!! Then I was a bit naughty and bought a new bag even though I really don't need anymore bags. It's a satchel style backpack in pink canvas with a cute little fairy on the front along with some toadstools. This bag is pretty big and very sturdy - the colour looks a tad off in the photo but it's a beautiful baby pink colour. 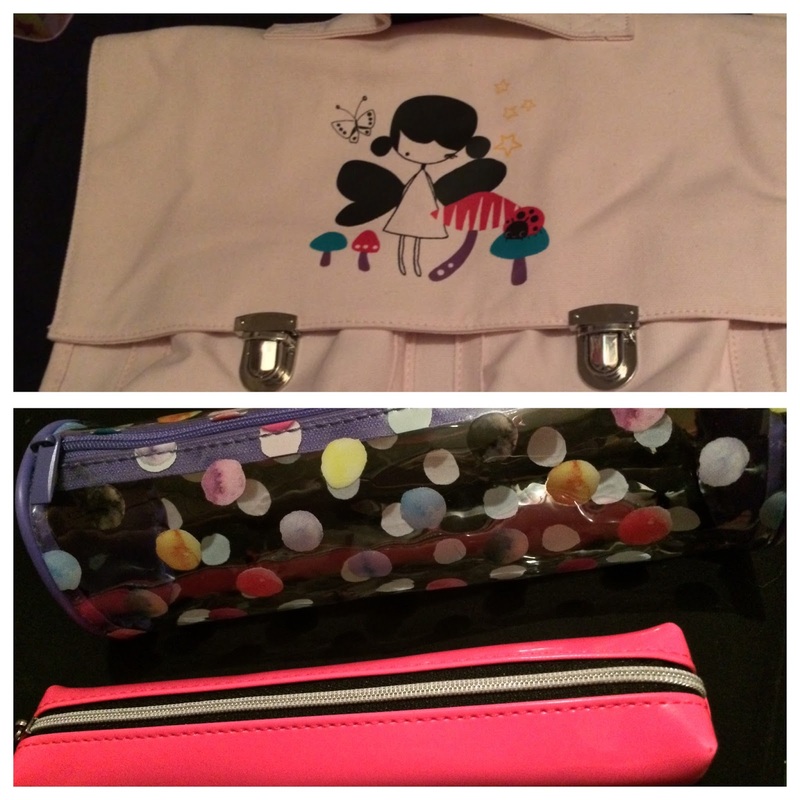 I also picked up a clear pencil case with some watercolour polka dots on, and a small neon pink pencil case. The clear one I'm going to use to store toiletries when I go away, I prefer clear cases as I can see everything that's inside so stuff is easier to find. The smaller one is for work, I only need a couple of pens nowadays but they always get lost in my bag so I thought it'd be easier to store them in this cute case. Finally, I bought 2 packs of stickers and some page flags. 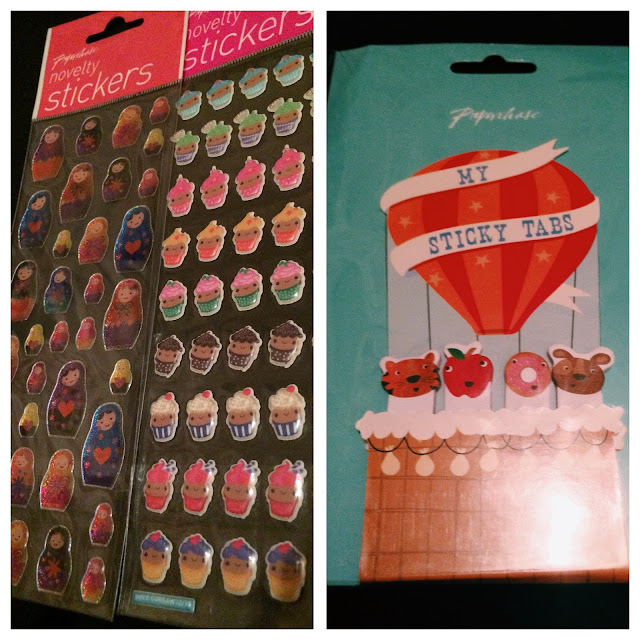 The cupcake stickers are puffy stickers and the Russian doll ones are solid metallic type stickers. The page flags are to pop in my planner, I thought they were pretty cute. So as you can see I got a pretty decent haul! I love Paperchase and have very little willpower when I go in there.